Middle children will love this! In the mouse family, Clara is the big one, Ben is the baby, and Martha is in the middle – where she gets squashed and looked over and has to settle arguments between the other two. Clara is considered to be ‘big and sensible’, while baby Ben is ‘cutesy-wootsey’, but Martha feels invisible and left out. So she runs away to the bottom of the garden and meets a frog in a pond. The frog points out that ‘the middle is the best bit’ – the centre of the sunflower has the delicious seeds, the bees collect nectar from the middle of flowers, and so it goes. 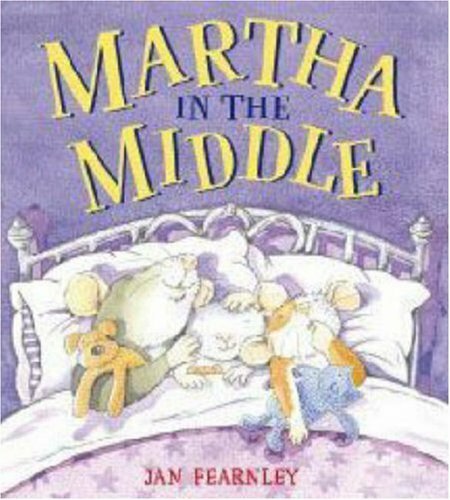 Martha is convinced that being in the middle is very special indeed, and her self-esteem is restored. Wonderful pictures of cuddly mice, outsized garden greenery and a cheery green frog, along with integrated text, make this a choice production.